Blog How Long Do Boxing Gloves Last? This is a question that I’ve wanted to address for a long time. I often get asked “how long do boxing gloves last?” and there’s no easy answer. There are many variables that you must think about when considering the life expectancy of a pair of gloves. I can’t guarantee you that a certain pair of gloves will last longer than another, it really depends on the quality of material the glove is made with and how well you treat them. Not only are you going to find out how long boxing gloves should last, but you’re also going to walk away with a few methods that I use to extend boxing glove longevity! I have used hundreds of boxing gloves throughout my Boxing and Muay Thai training, this experience has given me a wealth of knowledge that I enjoy sharing with all of you. Do You Need Expensive Boxing Gloves? It wouldn’t be fair if I was to compare a $400 pair of Winning Gloves to a $20 pair of Everlast gloves. Although price isn’t everything, it’s a good indicator for the quality of material the glove is made with. I’ve owned a few cheap pairs of Everlast gloves and they actually held up pretty well throughout the years. The downside to cheaper gloves is that they won’t support your hands or wrists as well as a glove that is made for better protection. I would be a fool to say there’s no correlation between price and quality. I understand that some companies up-charge more than others, however there’s a reason why brands such as Cleto Reyes and Grant charge so much for a pair of their gloves. There is a lot of time that goes into manufacturing gloves, especially when they’re hand crafted and made of high quality material. 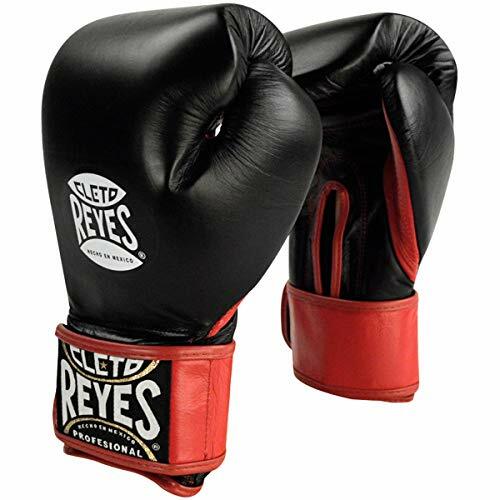 Many professional boxers and MMA fighters use Cleto Reyes boxing gloves for training. I always recommend spending a little more (if you can afford it) because good gloves are important for hand health. Your hand is made up of 27 small bones that can break from the smallest amount of pressure. This is why it’s so important to invest money into a pair of boxing gloves that will not only be durable, but also protective for your hand and wrists. My first pair of boxing gloves were Twins Special and they lasted me a good while, however I did notice the change in quality when I started using a pair of Cleto Reyes boxing gloves. If you’re in the market for your first pair of boxing gloves, I highly recommend buying a cheaper alternative. You don’t need to spend $100+ for a decent pair of boxing gloves. I recommend checking out our Best Boxing Gloves for Beginners guide if you want to save some money on your first pair of gloves. By no means will you need an expensive pair of boxing gloves when you just start training. Your first pair of boxing gloves will last you long enough until you need to worry about spending more money on a good pair. My Twins Special Gloves actually lasted longer than my Cleto Reyes gloves because when I first purchased my Twins Special gloves I didn’t even really know how to throw a punch yet. My Twins Special gloves are still completely together today, minus the normal wear and tear. The reason for this is because I never really beat them up like I have with my Cleto Reyes. 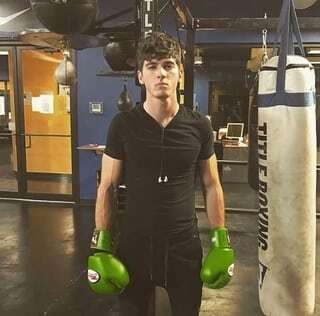 Now that I know how to punch correctly, I’m able to hit the heavy bag much harder. My Cleto Reyes gloves are still somewhat intact after months of hard hitting. It’s important to note that my Twins Special Gloves would probably be extinct had I trained with them the way I train with my Cleto Reyes. I say all of this because I want you to keep in mind that everyone trains differently. Someone who is 6’4 and 225 pounds will probably hit much harder than someone who is 5’4 and 140 pounds, which means the harder hitter will go through gloves much quicker. It’s not fair for me to compare my Twins Special and Cleto Reyes because I trained with them at different times of my Martial Arts journey. I am much more advanced now and my skill-set has grown tremendously since I first purchased my Twins Special gloves. It’s important to note that the longevity of your boxing gloves will have a direct correlation with your primary training method. Boxing Gloves used for sparring will last much longer than ones that are used for heavy bag training. This is something to think about when spending a lot of money on boxing gloves. If you primarily train on the heavy bag then you should prioritize your budget so that you can spend more money on gloves for heavy bag training. Nothing is worse than having a $200 pair of boxing gloves for sparring when you spar only once a week. The durability of a pair of boxing gloves can depend on many factors. How heavy you hit the bag is one of the factors we talked about earlier, however how well you treat your gloves will also be a deciding factor for how long your boxing gloves last. I’m someone who gets a new pair of boxing gloves and treats them like gold for the first few months, only to completely trash them after the honeymoon phase is over with. If you’re also like me and start treating your gloves badly after a few months, I highly recommend staying within the $100 range because this type of bad treatment will ruin the longevity and durability of your gloves in the long run. 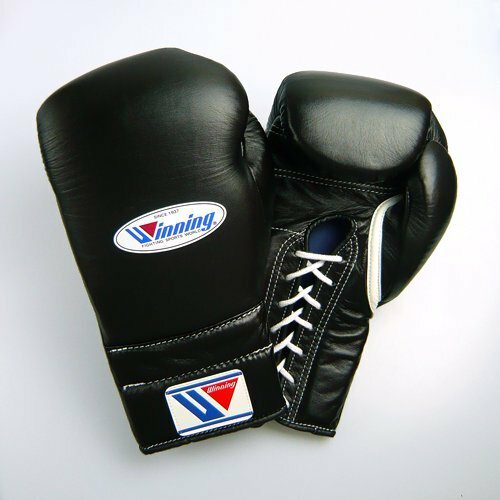 We talked about the longevity of heavy bag gloves vs sparring gloves earlier, however it’s important to note that heavy bag gloves are specifically made to be more durable because manufacturers know they will take much more of a beating. Sparring gloves are designed to protect your opponent, which means they are made with softer padding (not necessarily better for durability). Don’t be upset if you buy a pair of boxing gloves which were meant for sparring and end up destroying them on a heavy bag. If you do plan on spending $100+ on a good pair of gloves and want to treat them right, I recommend checking out our guide on properly cleaning your gloves for longevity. I highly recommend taking proper pair of your gloves if they’re expensive and you don’t want to replace them within a year. Cleaning your gloves after every training session isn’t the only way of adding years onto your boxing gloves.. which leads us to our next topic. Over the years I’ve realized there are certain things you should do after each training session that will extend the life of your boxing gloves. This only takes a few minutes to do each day and will be well worth the longevity you get out of your boxing gloves from following these steps. Clean your boxing gloves after every use with natural products. Not only will natural products properly clean your gloves, they will also protect you from getting any type of infection that comes with sweat and dirty gym bacterias. I see people clean their gloves with products that have harmful chemicals in them, gloves should NEVER be cleaned with Clorox and should never be put in the freezer (this myth has been debunked). Make sure your gloves properly dry after each training session before putting them in your gym bag. Putting wet gloves into a tight and closed spaced is a big No-No. I’ve done this many times and I know many of you are guilty of the same thing. Trust me I know it seems like a small thing to worry about, however this type of treatment will destroy the longevity of your boxing gloves. Don’t leave your gloves out in the sun or in a hot car for extended periods of time. I made this mistake over the summer when I left my gloves in the back seat of my car many times. I understand that it’s easy to forget about your gloves after a long training session when you just want to get inside and go to sleep, however heat can be a huge factor in the longevity of your gloves. Heat is bad for your boxing gloves because your glove material will stress and crack over time, it’s also not good for the smell of your gloves either. Not only did my pair of boxing gloves smell after sitting in the car for a week, they actually shrunk as well! I would also avoid blow drying your gloves with hot air. Any type of temperature change can negatively affect your gloves, putting them in the freezer won’t make bacteria disappear, it will just prolong the problem. One of my favorite boxing gloves on this list, many believe the Winning Training boxing gloves are the best boxing gloves in the world. The reason why they’re durable is because they’re made with the highest quality of material available. The first time I used these gloves I was completely blown away. Not only were they super comfortable, they also protected my hands perfectly during my heavy bag workout. If you’re someone who has sore hands and wrists from heavy bag training and has money to spend on a good pair of boxing gloves, these are the pair for you. Cleto Reyes is another brand that I’m very familiar with as I’ve owned multiple pairs of their gloves. I think these gloves are great for hybrid training and have amazing durability. Cleto Reyes is a reputable brand that is known for their high quality of design and amazing longevity. I personally use these gloves as my sparring gloves because they’re super comfortable and feel like pillows on your hands. However don’t be afraid to also use these for heavy bag training, just know that they aren’t invincible and will eventually show wear and tear after hard training. 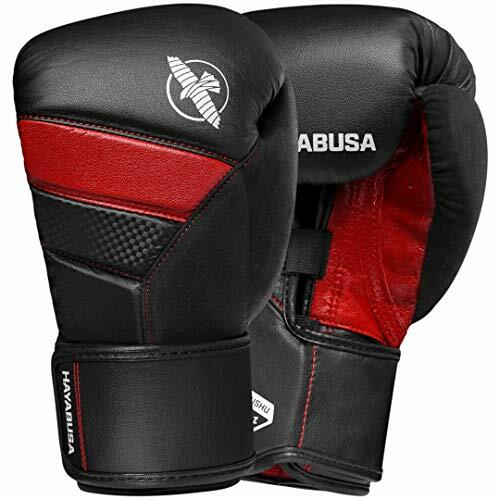 The Hayabusa T3 boxing gloves are the last pair I decided to put on my most durable gloves list. The reason I wanted to include these gloves is because at the $100 price-point they have amazing durability. Many people have raved about the longevity of these boxing gloves so I had to try them out for myself, they are indeed as good as they come. They’re great for both sparring and heavy bag training, however they do have a long break-in period that can take some time to feel comfortable. These gloves are hand crafted with top of the line engineered leather which delivers superior resistance from cracks and abrasions. So How Long Should Boxing Gloves Last? This answer might not be the one you’re looking for, however boxing glove longevity is different for everyone. If you’re a beginner who is just getting into the sport of Boxing or Muay Thai, I would suggest buying an inexpensive (under $100) pair of boxing gloves for your first pair. Your first pair of boxing gloves should last you 1-3 years (depending on how much you train). If you’re a more advanced striker or heavy hitter, then cheaper gloves usually won’t last over a year. A good rule of thumb is to never spend more than you’re comfortable of losing. Remember, longevity is something that depends on how well you treat your gloves and the specific training methods you use. Some people at my gym have complained in the past about certain brands of gloves that fall apart after just a few months of use, this can be the outcome of poor manufacturing and also poor glove ownership. Don’t be upset if your gloves fall apart after extended use, boxing gloves are suppose to fall apart over time, they are used for hitting things after all!